Rock Star: Travis Pettit | G&G Hauling & Excavating, Inc. 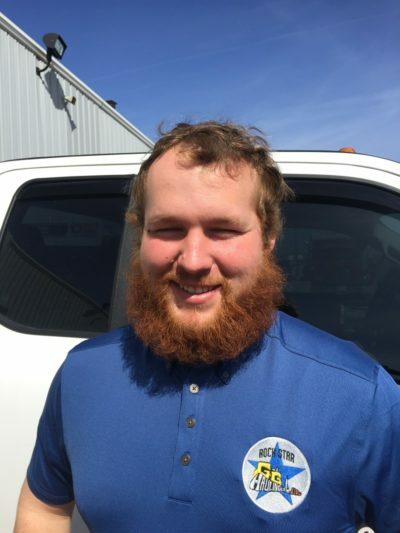 This month’s Rock Star, Travis Pettit, has been with the company for about a year. He has exemplified the core values of G&G very well and it is no surprise that his coworkers have nominated him for this monthly accolade. Travis is a hard worker and a great teammate. His attitude is fantastic, has a great sense of humor and he continues to excel in the field, as he learns the tricks of the trade, within the excavating realm. G&G is truly proud to have employees like Travis, who give their best everyday, make a positive difference in the lives of other coworkers and help deliver quality projects to our customers. Congratulations Travis! All of us at G&G wish you many productive years with the company.